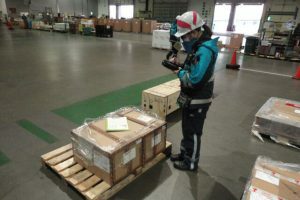 In October 2010, with the beginning of international flights from Tokyo International Airport (Haneda Airport), business operations at Tokyo International Airport also began, following the preparatory period that had started in 2008. 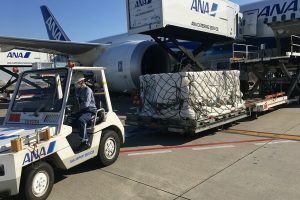 The operations at Tokyo International Airport include the handling of ANA international import and export cargo, international cargo operations, and operations for attaching passenger boarding bridges. 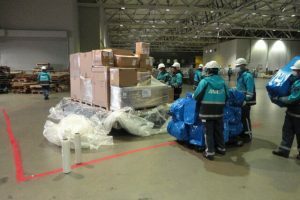 Also included are operations of the aircraft's cargo door and passenger door. 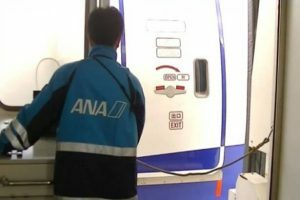 Also conducted in the same way are operations of foreign airlines affiliated with ANA. 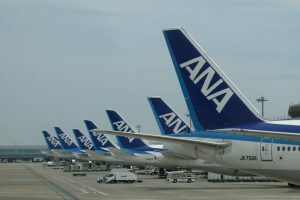 In 2020, the quota for departures and arrivals of international flights at Tokyo International Airport will increase by 39,000, and it is expected to reach about 99,000 per year. We will make efforts to shore up our system for this 2020 increase. 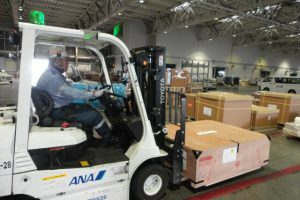 ANA offers by far the best quality, offering a service that is both safe and one that customers can have confidence in. 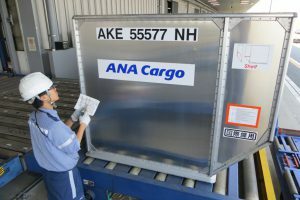 We take various types of cargo from customers and put these into a form that can be loaded onto aircraft and shipped all over the world. 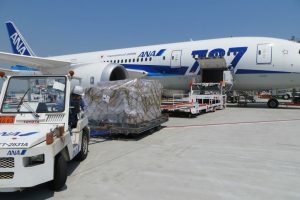 With our cargo transportation business, we ship pallets and containers to right beside the aircraft. With our passenger boarding bridge business, we attach the bridge to aircraft that have reached their parking spot.